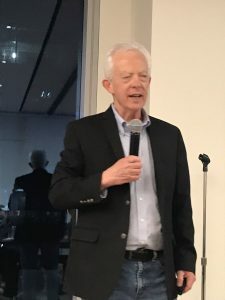 The future of legal journalism is here and that future has arrived in the form of LexBlog.com, according to Bob Ambrogi, its Editor-in-Chief and Publisher, addressing a standing room only audience of about hundred and fifty in Chicago [on the evening of February 28, 2019]. 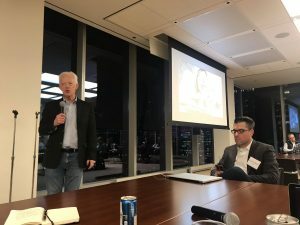 Speaking at the Chicago Legal Innovation and Tech meetup at Skadden, Ambrogi’s passion and vision were keenly on display. If there were any doubters of his message, Ambrogi pushed them over the top with his down to earth conviction in what he was telling us – from his personal start in legal journalism through today. Ambrogi always wanted to be a journalist. The problem was that the year he started journalism school was the same year as Watergate — and Woodward and Bernstein. Everyone and their brother wanted to be a journalist. To his surprise, Ambrogi’s application letters to the New York Times and the Washington Post went unanswered. Planning to head to journalism grad school, someone told Ambrogi that would be waste. He ought to go to law schoool, because the law was part of everything. Though Ambrogi practiced law for a few years, he followed his passion for journalism to found the publication, Lawyers Weekly. A publication with a national circulation that I subscribed to while practicing law in Wisconsin. To think that I’d some day be working alongside the guy running the publication would have been pretty far fetched. Ambrogi went on to lead and run a host of legal publications, newspapers and newsletter services with American Lawyer Media (ALM). The guy was Editor-in-Chief of the National Law Journal. As successful, profitable and wide reaching as these news publications were, like newspapers, they’ve hit on hard times. Less publications, fewer reporters and editors and far less coverage, per Ambrogi. As with other industries though, the Internet presented new avenues for legal reporting. But were they the answer? 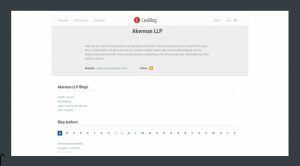 LexisNexis owned Law360, providing sound legal reporting, leaves us with this screen, said Ambrogi, everytime we click to reach their stories from search or social networks. 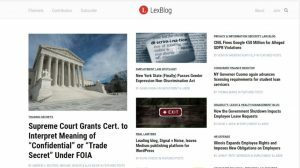 Legal news is behind a pay wall, just as LexisNexis required with previously open contributions on Law.com. Other alternatives such as Lexology and JD Supra require publishers and reporters (the lawyers) to pay to run and circulate their reporting. Distasteful to a reporter at heart like Ambrogi, and preventing legal reporting for lawyers who don’t have the money to pay for circulation. 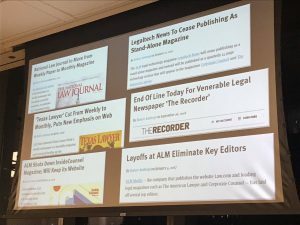 The best and most comprehensive legal reporting is taking place on law blogs, per Ambrogi. 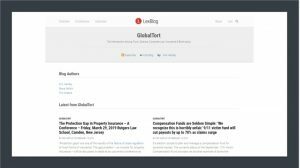 Law blogs have become the leading source of legal information, news and commentary on countless topics. 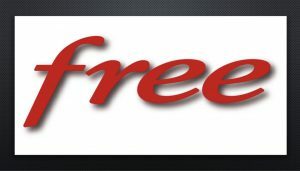 Search for legal news and information and you find blogs. However there was no where that pulled all of this content from law blogs together. No where to find the blogs, the bloggers and their organizations. 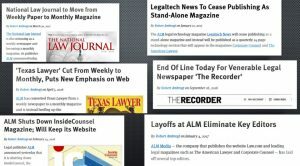 Though in its infancy as a legal news and commentary site, Ambrogi sees LexBlog as the future. 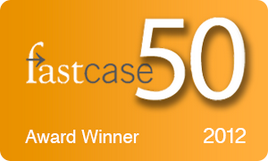 Aggregated and curated legal news and commentary for delivery from law bloggers, worldwide. 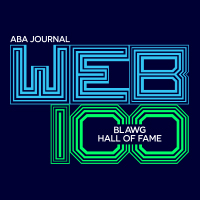 You could see the pride in this veteran journalist when he told the audience that there were already 22,000 legal bloggers contributing to LexBlog – with a profile page for the blog, blogger and organization for everyone of them. Ambrogi, and I’ll confess myself included, loved the desire of audience members, many of whom were leading law professors, entrepreneurs and practicing lawyers, to learn more. Perhaps more than the legal bloggers and LexBlog, it’s Bob Ambrogi delivering us the future of legal journalism. And why not. Ambrogi’s the dean of legal journalism in an age where legal tech and innovation, exactly what he personally covers day to day, is driving the future.